Studio West ‘nails’ the party this new year! Hyderabad: January 02, 2017: Never tried, never know! Start the season by trying something new! 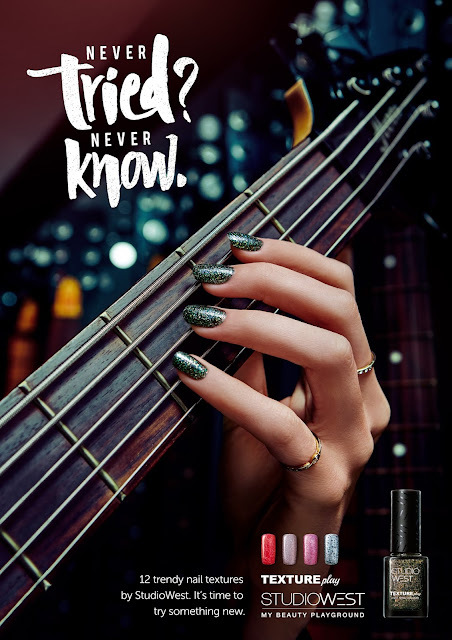 The latest collection of nail polishes from Studio West are like never before! Available only at StudioWest, Westside. From metallic finishes to iridescent glitters, bubbly confetti to glossy shimmers, StudioWest introduces an all new range of 12 beautiful textured nail polishes this party season. Experiment with these exclusive polishes, to create beautiful effects on your fingertips. The distinctiveness of each texture allows your hands to tell a new story every time! Priced at INR 195/-, choose from a wide range of unique color palates this party season with ‘Texture Play’. Nail polishes available across Westside stores in the country. Say goodbye to the mundane and try something exciting! 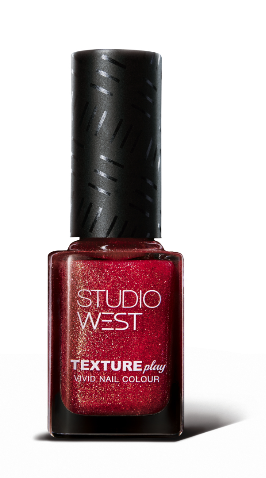 Texture Play, the hottest new range only at StudioWest, Westside. StudioWest from Westside is an innovative concept in the world of beauty and has been conceptualized for the contemporary Indian woman. With its wide array of leading beauty brands StudioWest has been created to inspire women to experiment and explore making it the ultimate beauty destination. The StudioWest space, designed by JGA, a U.S. – based Retail Design and Brand Strategy firm embodies the philosophy of ‘My Beauty Playground’. Beauty experts have been trained to encourage women to experiment with looks and explore the brands available since 2015. About Trent: Established in 1998 and part of the Tata group, Trent is headquartered in Mumbai but has pan-India operations. Trent operates Westside, one of India’s largest and fastest growing retail chains. The company has already established 93 Westside departmental stores measuring 8,000-34,000 sqft in floor space across 50 cities. The Westside format offers an exclusive range of its own branded fashion apparel and continues to be the mainstay of the retailing business of the company. Some of the departments include, women’s wear, menswear, kids’ wear, footwear, cosmetics, perfumes and handbags, household furniture accessories, lingerie, and gifts.